You'll be £19.99 closer to your next £10.00 credit when you purchase A Victorian Guide to Healthy Living. What's this? The Victorian Dr Thomas Allinson founded the famous Allinson bread firm in 1892 and wrote five volumes of medical essays outlining his beliefs that food was an important factor in health. 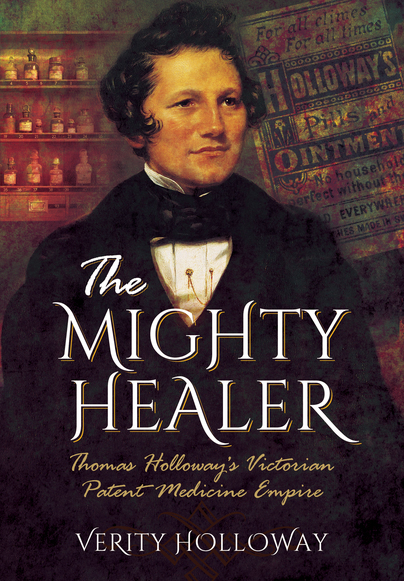 His sage advice was an anathema to his Victorian peers and he was struck off in an age where medicines were made of mercury and arsenic. His 'outrageous' beliefs included exercise being good for health, the need for a work-life balance for better efficiency and health, avoiding tea and coffee in the evening to promote better sleep and obesity being caused by eating too much. These 'misguided' beliefs are so relevant to today's market and written in a wonderfully anachronistic but accessible manner. Best-selling author and food and health expert Anna Selby has edited his five books into one volume, incorporating chapters such as 'vegetarianism', 'exercise' and 'the work-life balance', as well as a chapter containing some of his quirkier beliefs. Although most of Dr Thomas Allinson’s advice is now taken as somewhat of a given, A Victorian Guide to Healthy Eating projects a wonderful illustration of how the Victorians lived their daily lives. Paying particular attention to their lifestyles, Allinson appears to be somewhat of a man before his time in that he had already realized that smoking can damage your health; wholefoods are more beneficial than that which is processed, as well as being particularly critical of Victorian ‘fad’ diets – the modern day version being similar to the Atkins diet. Additionally, being such a critic of the prescriptions of his own day, Allinson was eventually dismissed by the General Medical Council! A thoroughly interesting and eye-opening read - and a real credit to the healthy eating ‘you are what you eat’ slogan. This book brings together the best of his advice and gives an insight into how the Victorians lived their lives. Allison's life was centred around healthy living and he advocated the kind of lifestyle that is taken for granted today: a whole food diet, plenty of exercise and avoidance of tobacco, caffeine and alcohol.